Parents will love cuddling up with their little ones and reading this interactive new board book, featuring poseable, plush cat ears that make every page even more fun. 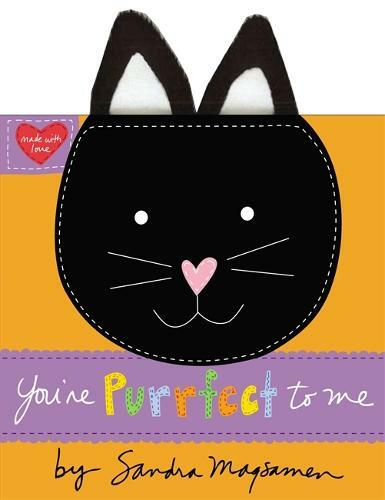 This book is the 'purrfect' way to celebrate Halloween, and has a loving message that lasts the whole year through. This adorable addition to the 'Made with Love' series reminds little ones how much they are cherished through Sandra Magsamen's signature heartfelt text and cozy hand-stitched illustration style.